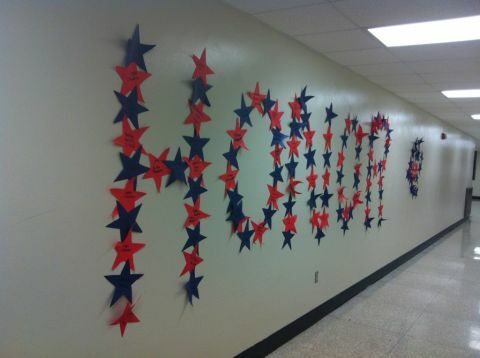 Templeton students, staff send vets on Honors Flight - Hamilton School District. The Templeton Middle School Student Council, with help from AFSCME Local 3086 – which represents Hamilton School District custodians, paraprofessionals and some Village of Sussex employees – held a successful campaign that raised enough money to send five World War II veterans on a Stars and Stripes Honor Flight to Washington D.C.
Student Council advisor Patty Sankey said students initially planned a four-day campaign with the goal of raising $500 to send a veteran on an Honor Flight to visit the World War II memorial. 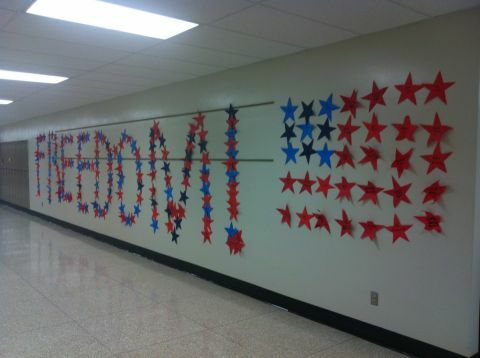 They had planned to announce their results at the school’s annual Veterans Day program. The campaign started off with a $500 surprise donation from an anonymous staff member who challenged students to match the donation. Students then raised another $1,104.20. At Templeton’s Veterans Day program, students learned that AFSCME Local 3086 contributed an additional $895.80, bringing the total of the campaign to $2,500. 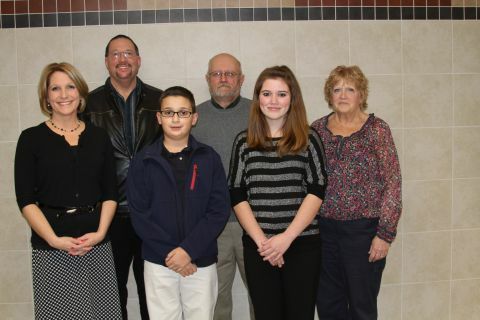 Hamilton School Board members recognized the Templeton Student Council and AFSCME Local 3086 for their contributions to the Stars and Stripes Honor Flight program.